These are my witches. Well, soon to be witches once I decoupage black hats on them for Halloween. 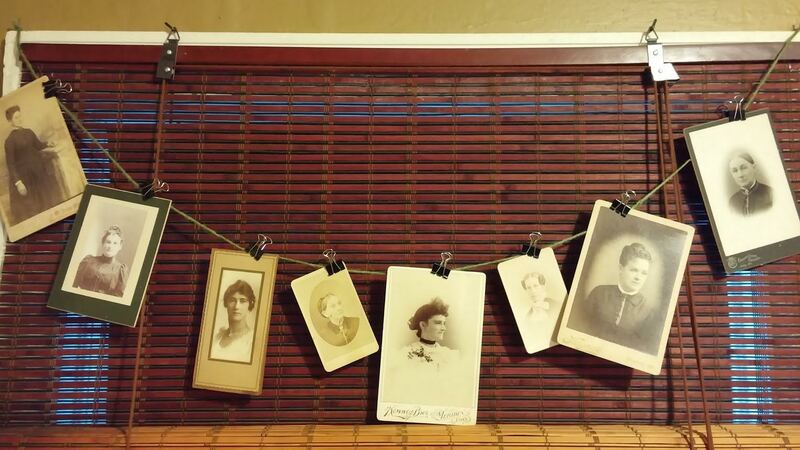 I got the idea to hang them up like this from an antique store where they did it on a chain with old clips across the front of a mirror above a fireplace. I put them up here just for fun but will probably take them down as I add them to my witches cabinets that I am making. I’ll be posting pics of those soon!